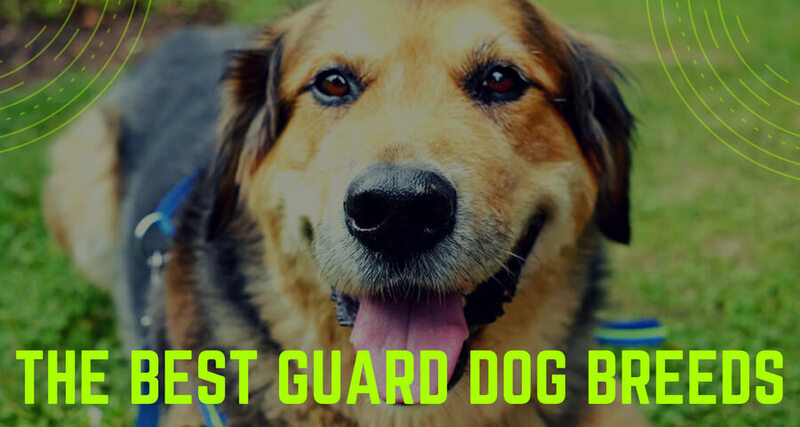 Which Dog Breed Will Help Guard You? 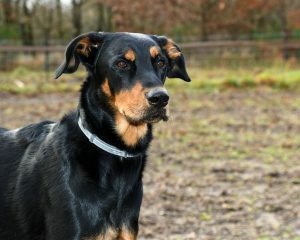 Dogs are not just amazing companions but also the best security you can hire. With crime rates increasing at a rapid pace, every home needs a security measure. A recent survey showed that every 12 to 15 seconds a home burglary takes place in the U.S.
Alarm systems are great, but guard dogs are a potentially better choice for self-protection. 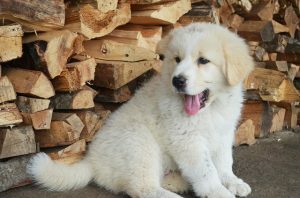 Besides being adorably gorgeous, this mix between a Saint Bernard and Caucasian Shepherd is extremely powerful. Their size gives them the advantage to overpower an intruder. They are agile creatures who are loving and playful towards their owner. But, at the same time guard their territory like a soldier. This muscular breed is a mix between a bulldog and a terrier. They resemble pit bulls closely and possess territorial and protective characteristics. Although most experts deem them to be aggressive, they can easily be calmed by training them. The key to this breed is to socialize them from an early age. 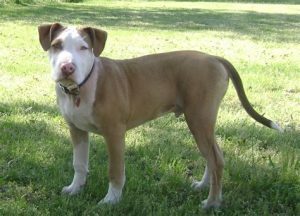 A loving family for an American Staffordshire terrier results in an excellent companion and guard dog. Pit bulls have a reputation, a bad one. They are even banned from certain residential areas due to their aggressive behavior. This is an aggressive breed with a history. Pit bulls were pitted against other dogs in fights, which lead to their reputation as s with a temper. However, when raised in a loving home, they will protect their owners with their life. When raised right they are playful companions and suitable even for families with children. 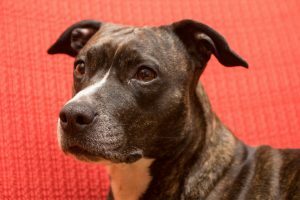 If you adopted your dog and it’s a mixed breed that is showing signs of being a pit bull, you should get a dog DNA test in order to confirm. It’s best to know your pets personality inside and out! They will show their aggression only when their family is in danger or needs protection. Talk about being best in the business. They are agile creatures with an intimidating-muscular built. They are true watchdogs as their powerful bite can bring a grown man to his knees. They are obedient and highly intelligent. They are relatively easy to train and bond well their owners. This is a strong and aggressive breed. If they are not trained to be around people since an early age, they can prove to be dangerous and very aggressive. Their abilities can be honed through a loving environment and training. They are stubborn dogs and training them may be a challenge for beginners. Nevertheless, they will protect you and your belongings once they have settled in with you. 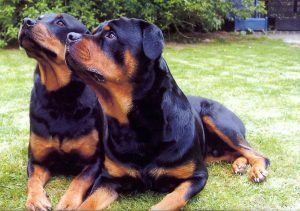 In most cases, intruders will not dare to enter your premises if they know a Rottweiler is protecting it. It is almost impossible to think of this breed as a watchdog. The furry coats, they puppy-dog eyes and their appetite for cuddles make them one of the best choices as household companions. They are loyal and friendly but, dangerous for an intruder. They do not like strangers and have very sharp instincts. 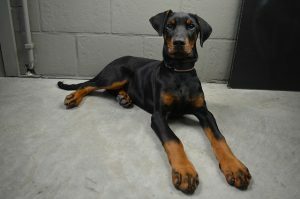 It is better for intruders to stay as far away as possible from properties that are guarded by this breed. This is a highly intelligent breed and has proved to be useful for decades. 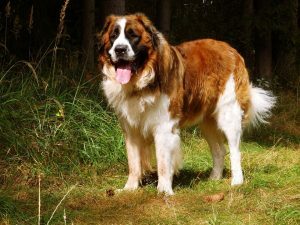 The French army employed this breed to detect mines in World War II. They are even adopted and trained by law enforcement agencies for professional use. They are multi-taskers, from herding cattle to guarding your house; you won’t find a better watchdog. Most guard dog breeds start off with aggressive tendencies. As owners training and socializing them is up to you. Do proper research into the characteristics of a breed before choosing a guard dog. 1 Which Dog Breed Will Help Guard You?